Both Federal and Missouri law prohibit employers from discriminating against their employees and prospective employees based upon their religion. 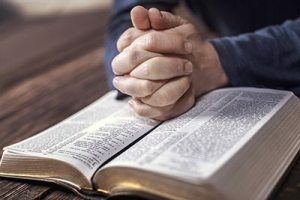 Under the Missouri Human Rights Act, it is an unlawful practice to refuse to hire or to discharge employees because they have particular religious beliefs. Further, employers may not limit, segregate or classify an employee on the basis of religion. Employers may not compensate employees differently, apply different terms or conditions of employment, or grant preferential treatment on the basis of religion unless there is either a bona fide seniority or merit system in place. Title VII of the Civil Rights Act bans the same type of conduct, provided the employer has fifteen employees or more. Title VII also bans harassment of individuals on the basis of their religion. Many decisions that an employer makes may seem to be neutral on their face, but have a discriminatory effect on those with different religious beliefs. Likewise, some decisions that limit opportunities for those of different religions may be legitimate business decisions that are not illegal. If you believe that you have been discriminated against because of your religion, please contact Paulus Law Firm at (816) 237-8502 for a free consultation.